Americas First Railroad Tunnel Located? The 15-foot-deep tunnel snakes its way across what are now a dozen or more private backyards. But in 1832, that land was a major thoroughfare — the foundation of the city’s prosperity and growth for the next century. Hundreds of business owners and daring families rode through the tunnel on trains so experimental that they were considered too dangerous to be allowed on city streets. They could travel so fast and their engines could produce so many wild sparks that city leaders feared pedestrians would be run over and buildings burned down. 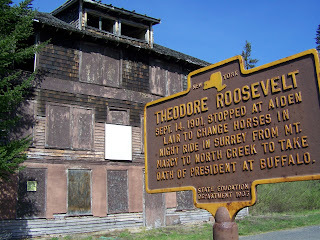 So horses dragged the trains from the Erie Canal to the Scotia bridge along a safe, deep tunnel. It was an experiment that lasted just six years, but in that time it was guaranteed a place in the history books. Not only was the tunnel the first ever constructed for a locomotive, but the entrance was the first junction of two railroad companies, according to Rittner. Technically, the first rail road in the United States is believed to have been a gravity railroad in Lewiston, New York in 1764. 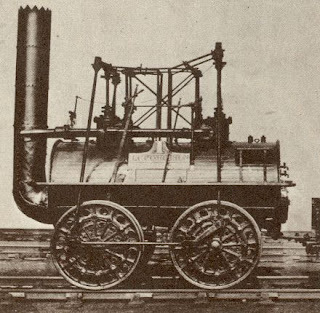 The Mohawk and Hudson Railroad, of which the tunnel would have been a part, was the first modern-style railroad built in the State of New York- it was incorporated in 1826 by the Mohawk and Hudson Company and opened August 9, 1831. On April 19, 1847, the name was changed to the Albany and Schenectady Railroad. The railroad was consolidated into the New York Central Railroad on May 17, 1853. In 1867, the first elevated railroad was built in New York.